Franz Schmidt's Notre Dame, a work of lushly romantic orchestration and extravagantly romantic sensibility, was completed in 1906, but not premiered until April of 1914. It enjoyed some popularity between the world wars, but has remained in one of the operatic repertory's dustier corners. The American Symphony Orchestra polished it up nicely for a concert performance at Carnegie Hall this Sunday. (To judge by the impassioned tone of his accompanying note, music director Leon Botstein may have taken the primary initiative in the project.) 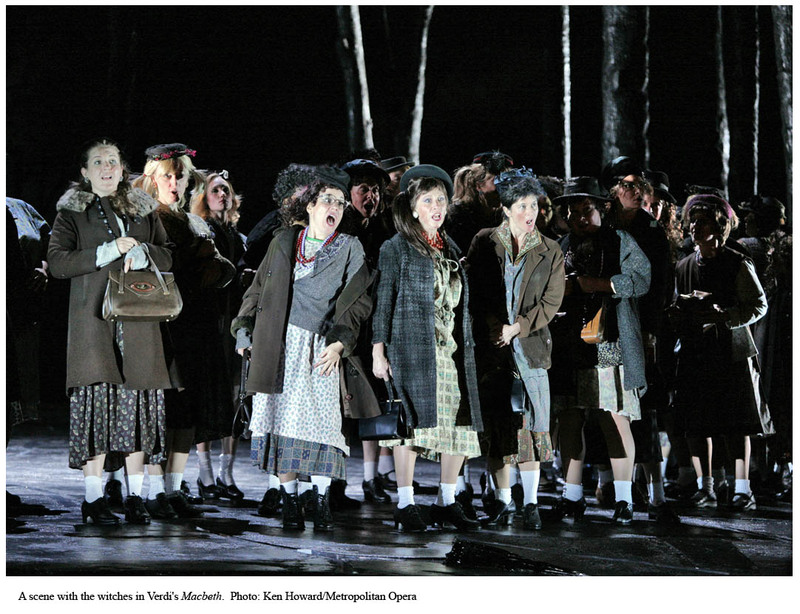 The program claims structural similarities between Notre Dame and Berg's Wozzeck. The development of Notre Dame through loosely linked scenes, and the use of its orchestra, which holds a little aloof from the singers, may bear this out. I found it far more reminiscent of Korngold, with sweeping symphonic intermezzi and rich orchestral illustration of place and character. (The only complete recording I know of features Gwyneth Jones as the gypsy Esmeralda, Kurt Moll as Quasimodo, and James King as Phoebus.) Although Phoebus is heralded with military trumpets, and the solemn archdeacon accompanied by imposing brass and organ, Esmeralda is the only one whose character, rather than function, is (it is implied) illustrated by the orchestra. True, the shimmering strings, evoking "folk" harmonies of central Europe before swelling into harp-crowned ecstasies, are very much about how Esmeralda is envisioned by all those around her, but it also appears to demonstrate her innate goodness, kindness, etc. Which brings me to what seems to be the central focus of Schmidt's opera, the Ewig-Weibliche. There are a number of characters in Notre Dame who never meet each other; driving the drama is the fact that a Heldentenor, a dramatic tenor, a baritone, and a bass all adore or lust after the gypsy dancer (soprano.) Hugo's plot is drastically condensed, with a few narrations of past events to fill in blank spots. The vocal writing is substantially declamatory; one of the characteristics I found most fascinating was the tendency of different personages to "talk over" each other, intensely preoccupied with their own emotions or goals; only the orchestra has the whole picture. Von Hoffmannsthal, incidentally, saw the opera in 1914 and wrote Strauss about it; he liked the music, but dismissed the text as absurd. 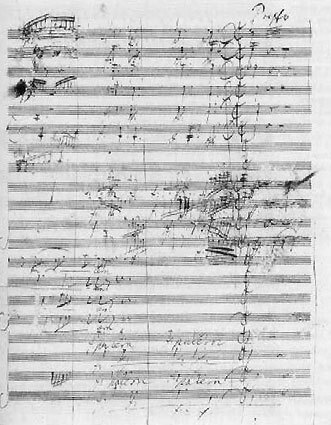 The opera is in many ways richly symphonic, with a rich prelude to each act, and three intermezzi (the first of these was premiered on its own, and remains independently performed.) Botstein kept tempi fairly steady, letting the orchestration speak for itself in matters of dramatic nuance and motivation. Strong support was lent by the Collegiate Chorale as the alternately jubilant and frenzied populace of Paris. As Daniel Albright wrote in an article on Verdi's Macbeth, part of the power of Shakespeare's tragedies (and perhaps no small part) lies in their absurdity. For the witches, Macbeth's mad succession of horrors unfolds as a comedy, tremendous illogic driving a loyal nobleman to treachery, and a kingdom to internecine strife and the brink of self-destruction. Are the witches wise women who read Macbeth's character better than anyone else, or are they, as Banquo posits in the Verdi/Piave libretto, surrounding a lie with truths in order to tempt him to destruction? Adrian Noble's 2007 production makes them village women, who seem to have constructed an alternate community of sorts; but it also suggests that they are meddling with powers far beyond their own control. The visual language of the production flirted with surrealism--one of its most interesting hints was that Birnam Wood is always already at Dunsinane--in a WWII-era society, heavily militarized. Between the giddy, glamourous banquest guests and the bitter, exhausted refugees, I wish I'd gotten a better sense of who Macbeth's subjects are; another haunting suggestion is that Duncan's "popular support" is no more genuine, and no less based on intimidation, than Macbeth's own. Violent (dystopian?) realities were no more than hinted at, however; while visually sleek, I found the production less than satisfying. Leading the orchestra, Gianandrea Noseda brought out beautiful sound in nuanced phrasing, playing with dynamics and the nerves of the audience (well, mine, anyway.) The eerie horror in the score was chillingly evoked. Still, I did sometimes find myself wishing for violence, more reckless impulsion. This is a "what's done is done" sort of opera, and the orchestra could have been steeped a bit further in blood. The chorus--which Verdi identified as one of the most important ingredients in the success of the opera--contributed stellar work as witches, murderers, banquet guests, and refugees. The desolate "Patria oppressa" was a highlight of the evening. Richard Cox was a bright-toned and authoritative Malcolm. As Macduff, Dimitri Pittas sounded on much better form than the last time I heard him, and he contributed strong, incisive singing. The orchestra made me tearier than the tenor did in "Ah! la paterna mano," but maybe that's just me. Günther Groissböck was a new discovery to me; as Banquo, he was elegant and assured, restrained in manner but vocally charismatic. When I was asked if I'd be interested in reviewing a CD with the tantalizing title At the Statue of Venus, my response was, approximately, "Would I!" The album showcases the dynamic soprano Talise Trevigne, who sings the music of Jake Heggie and Glen Roven. It's titled after Heggie's scene for soprano and piano, to a text by Terrence McNally, but also features a song cycle by each of the composers, who play the piano parts of their respective works. To me, both Trevigne's name and voice were new, and the latter was the most exciting discovery of the album, supple and expressive across her range. I found Trevigne to be a very emotionally engaging communicator, using varieties of vocal color, and nuanced phrasing, which drew me into the worlds of unfamiliar music and texts. The album was a pleasure on first and repeated listenings, and is recommended especially to those among you, Gentle Readers, who are lovers of art song or sopranos. The first cycle on the disc, Heggie's Natural Selection, is exuberant in musical invention and allusion. The trajectory of the cycle is tragicomic, condensing the matter for a Bildungsroman into five songs. The persona journeys from confidence on the threshold of adulthood ("Creation,") through fiercely passionate, though still abstract desire ("Animal Passion," a sly, dark tango,) to feverish discontentment ("Alas! Alack!") to "Indian Summer," the lament of a woman trapped in marriage for lost freedom, which is recovered at last in "Joy Alone." The discordant, jumpy anxiety of "Alas! Alack!" is packed with operatic allusion (what would happen if Tosca fell for Scarpia?) which continues in the ragtime, Bluebeard-referencing "Indian Summer." The voice of the piano, helping to illustrate the narrator's emotional state, reinforces the rightness of where we leave her: the style of the first song has been recovered, altered, but at peace and ready for new journeys. A vocally superb and theatrically accomplished cast makes the Met's current run of L'Elisir d'Amore a joyful romp from start to finish. The orchestra played with verve under Donato Renzetti; there seemed to be some slight coordination issues, but the dramatic shape of scenes was well maintained. John Copley's 1991 production is a deliberately old-fashioned fantasia, a sleepy village watercolored onto flats, filled with pastel shepherdesses and a regiment as bright and self-important as freshly painted tin soldiers. The pastoral idyll is eventually crowned with an unapologetic explosion of pink clouds and putti. 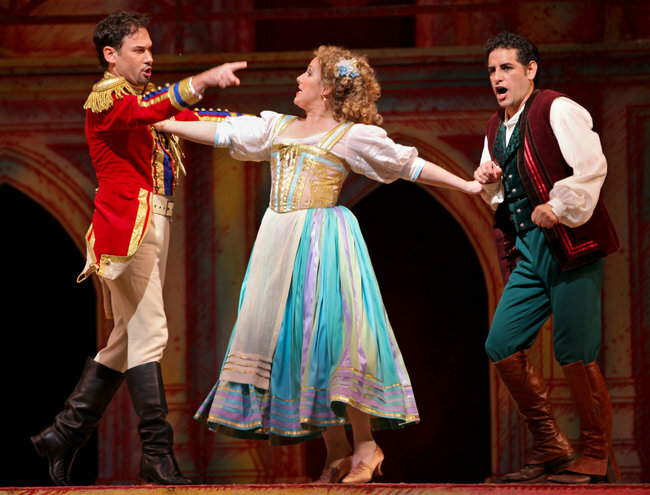 Thanks to luxurious singing, the humanity of Donizetti's comedy shone through. In the three times I've seen Michael Grandage's new Don Giovanni for the Met, I've progressed from disappointment, to frustration, to outright resentment of its lack of substance. (Is there a modified Kübler-Ross model for coping with bad opera productions?) Its visual clichés I find increasingly reminiscent of Phantom of the Opera: red velvet, ostentatious chandeliers, torch-bearing crowds with pitchforks, and, not least, theatrical blasts of flame. For the sake of Gerald Finley's Don, and Bryn Terfel's Leporello, however, I went. Both gave vivid vocal performances of great beauty... and both had, apparently, decided to fill the dramaturgical vacuum with bass-baritonal hijinks. They were supported by very fine singing from the rest of the cast. Andrew Davis' conducting was fleet and energized, but alert to the dark undercurrents in the music. The dramatic propulsion provided by the orchestra (which could also be slyly insinuating, when such was called for) was most welcome. For a work of its vast scope and profound subject, Beethoven's Missa Solemnis seemed surprisingly tame in Tuesday night's performance at Carnegie Hall. The Boston Symphony Orchestra did play with great warmth and beauty of tone. The woodwinds contributed especially lovely work, and the vibrant trumpet fanfares, and the exquisite violin solo of the "Sanctus" (taken by Malcolm Lowe) were also noteworthy. There was, however, what I perceived as a lack of dramatic impetus, with the movements of the Mass blending into each other with great elegance, but little contrast of mood. More emotional engagement and dynamic nuance came from the Tanglewood Chorus, who were superb throughout. Their sound was thrilling, their diction incisive (and they sang from memory.) It is perhaps relevant to note that John Oliver, who led the combined forces in place of an indisposed Kurt Masur, had (presumably) significantly more rehearsal time with the latter ensemble than the former. 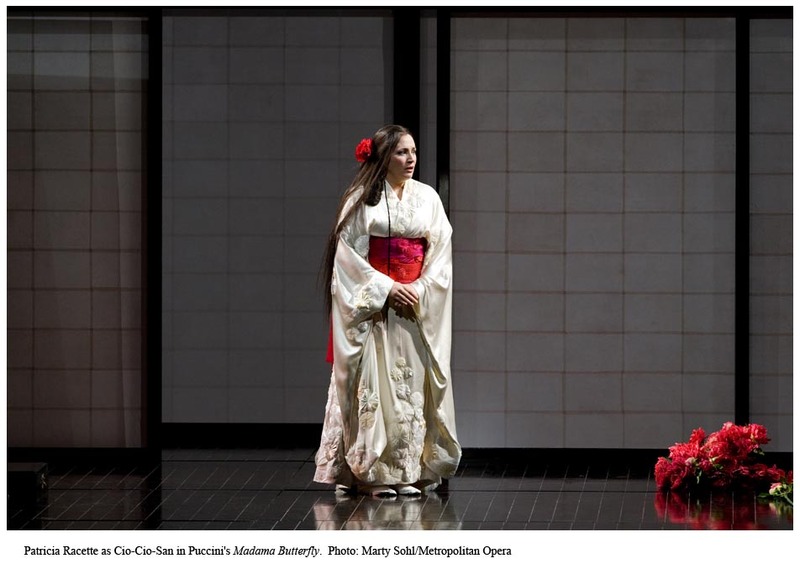 I have a Really Shameful Confession, Gentle Readers: before last night, I'd never seen Madama Butterfly live. I don't know how many times I listened to recordings before being able to do so without an intermission to stalk wrathfully around the apartment, grumbling choice epithets for Pinkerton... but I digress. I went for the sake of Patricia Racette's Cio-Cio-San, and out of curiosity about Anthony Minghella's production; neither disappointed. Seen in person at last, Minghella's production is indeed stunningly beautiful, as well as overtly theatrical. With so problematic a text, it struck me as no bad expedient to force the audience into awareness of how artificial the presentation of this brutal drama as romantic spectacle is. The Personenregie was musically sensitive and highlighted personal interactions intelligently and poignantly. While the stylized crowd scenes appear as through Pinkerton's (exoticizing, Othering) perspective, more intimate moments are staged to reflect Butterfly's point of view. This is haunting in the orchestral lead-in to Act II (one moment, domestic bliss; the next, Pinkerton simply disappears) and during the Humming Chorus, but perhaps most effective in the ecstatic finale of Act I, a fantasy of lanterns and showering peonies. (All that said, the staging is not unproblematic, as Zerbinetta of Likely Impossibilities has pointed out.) 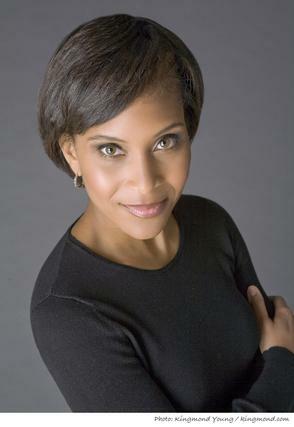 Racette's performance was the musical highlight, though other singers made notable contributions as well.